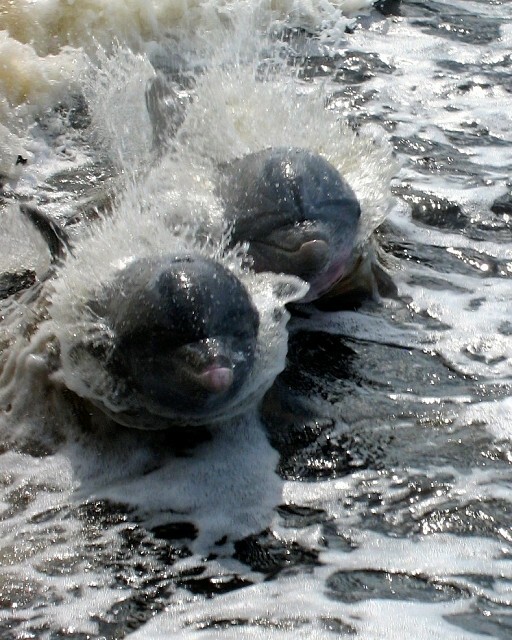 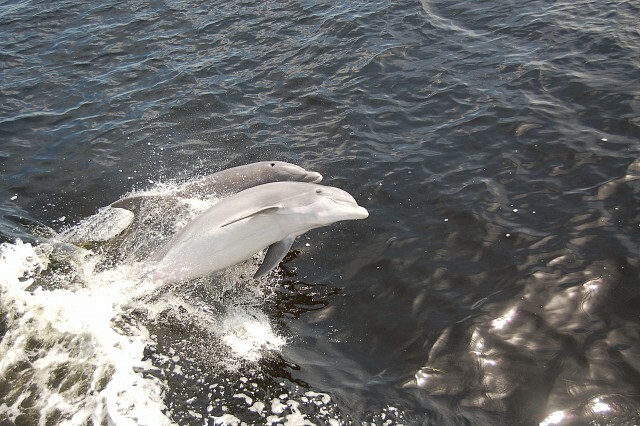 Even though they’re often mistakenly identified as porpoises, these beautiful animals are definitely dolphins. 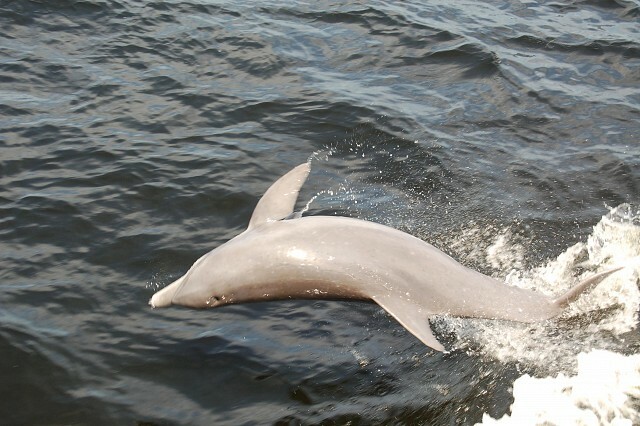 Charlotte Harbor dolphins are Atlantic Bottlenose Dolphins (Tursiops truncatus) and are the same animals commonly seen in sea aquariums and on television (The star of the television show “Flipper” was an Atlantic Bottlenose Dolphin). 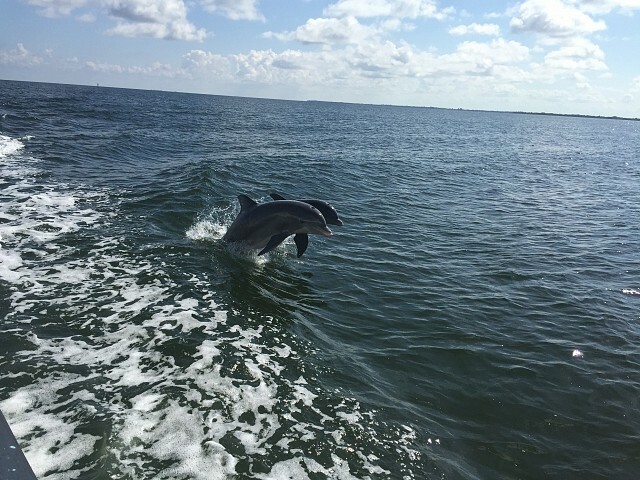 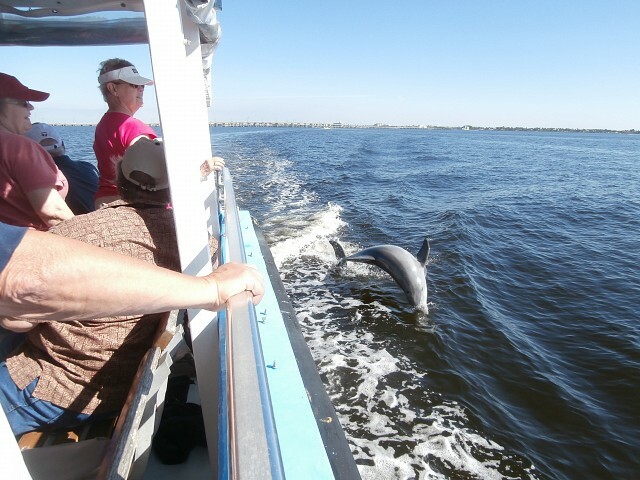 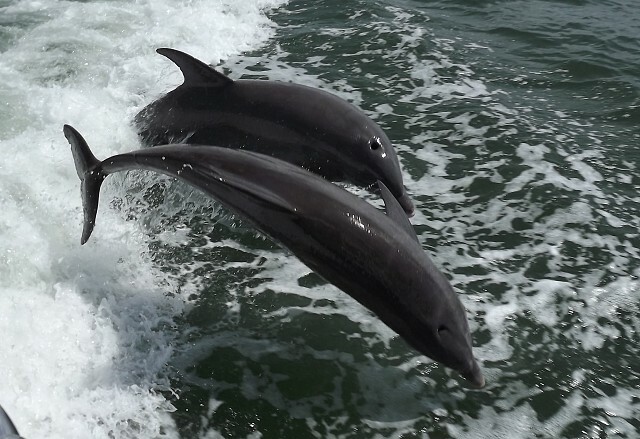 These animals are so common in the Charlotte Harbor area that it’s a rare trip across the harbor which doesn’t include dolphin sightings. 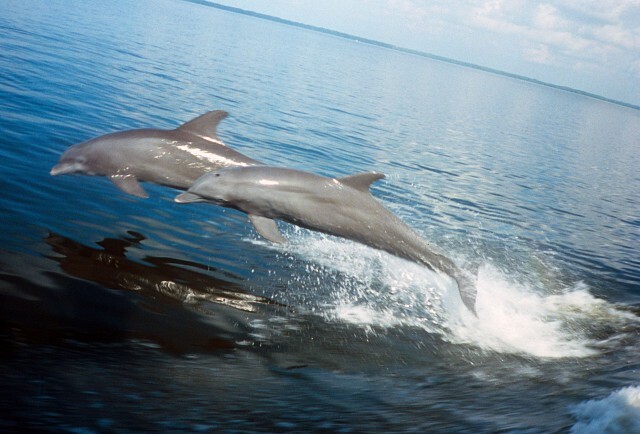 There are about 30 different species of dolphins found all around the world. 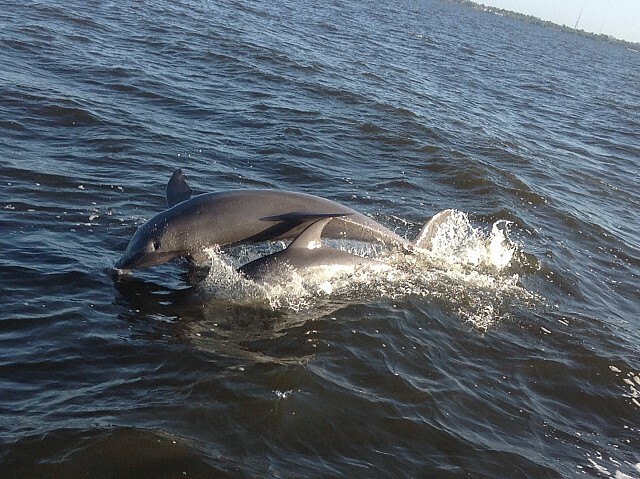 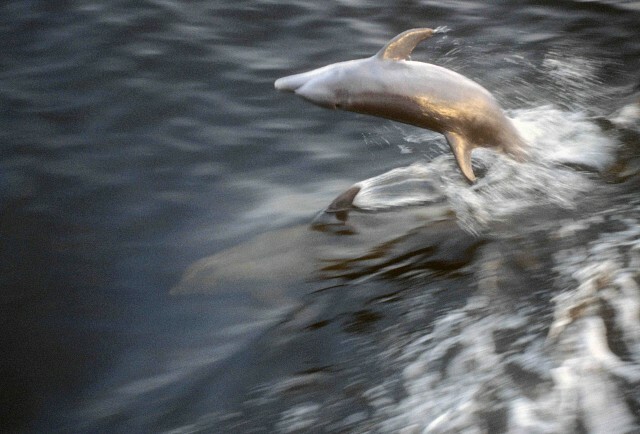 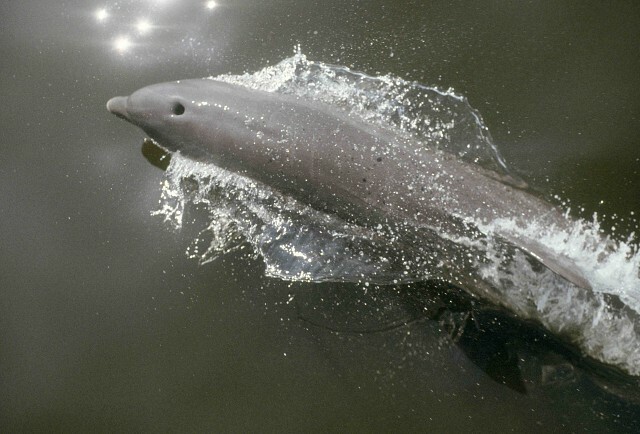 Porpoises do exist but they aren’t normally found in the Gulf of Mexico. 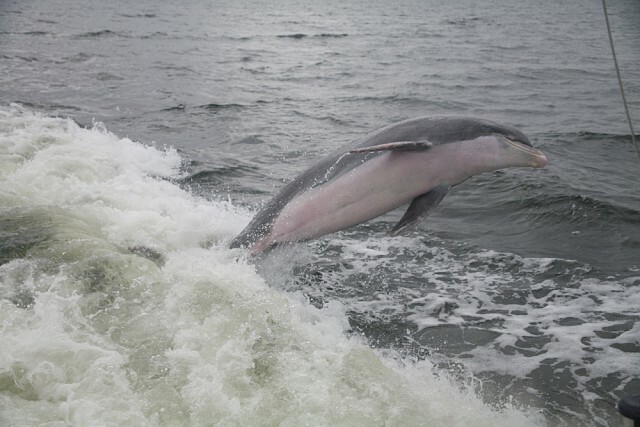 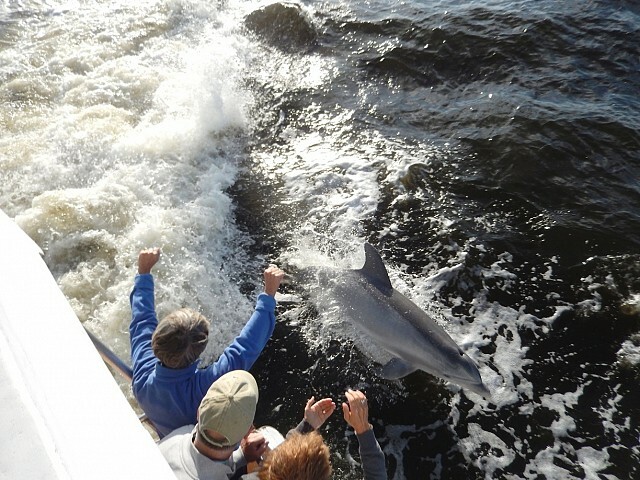 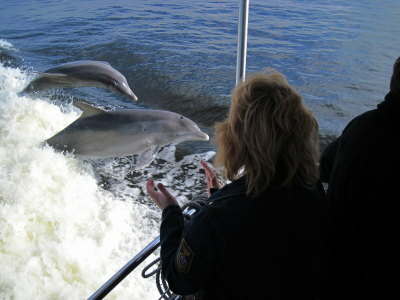 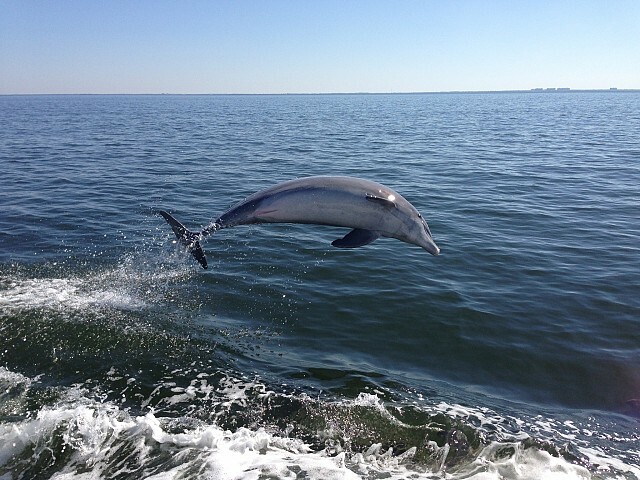 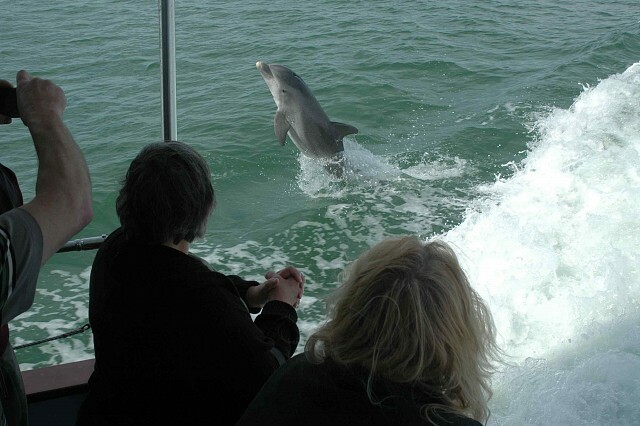 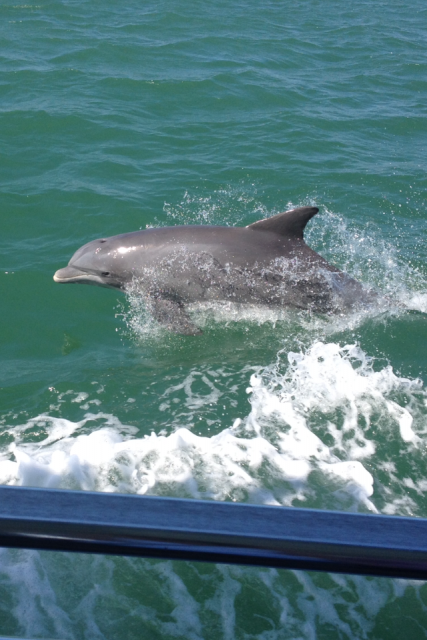 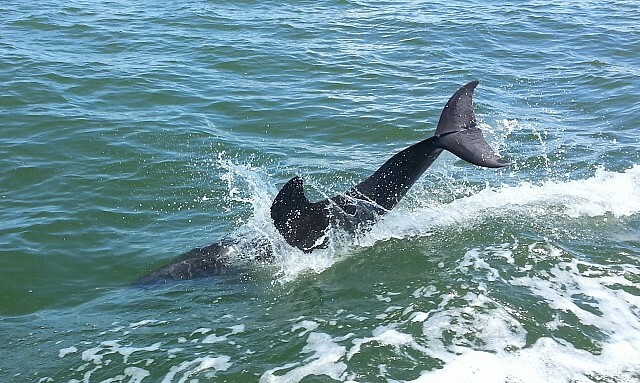 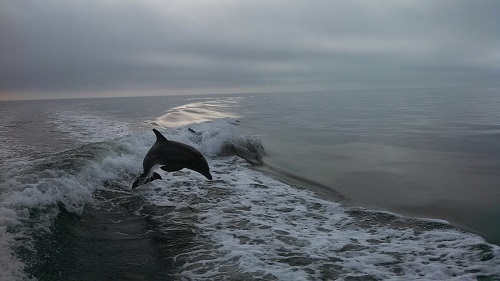 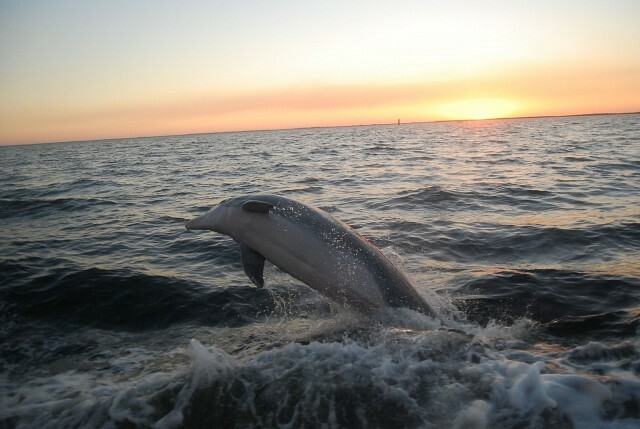 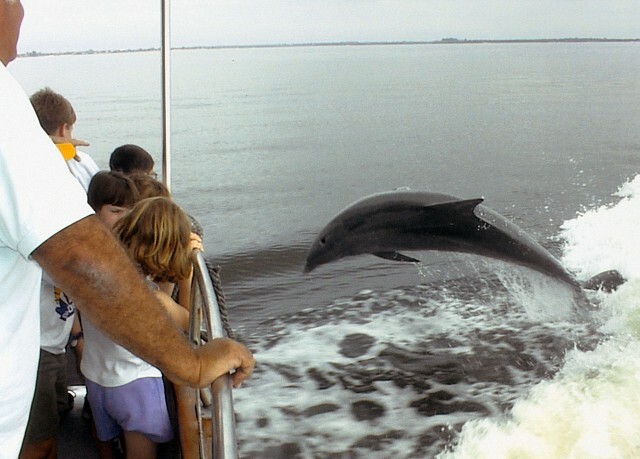 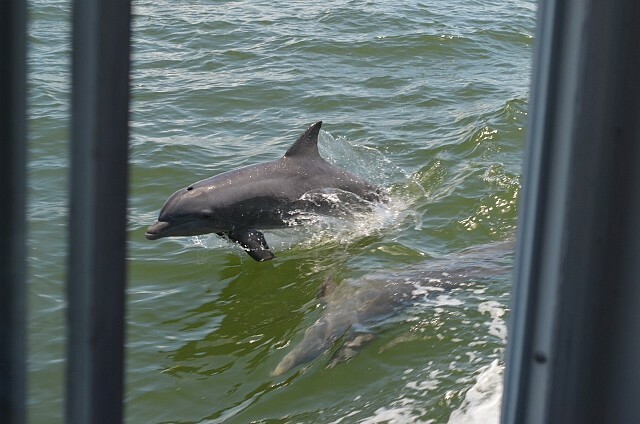 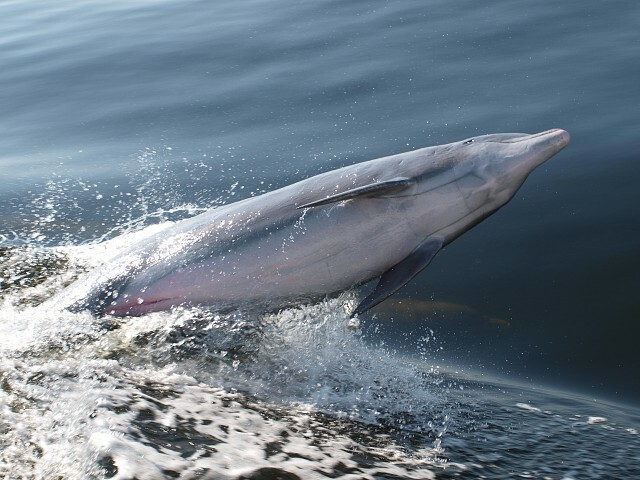 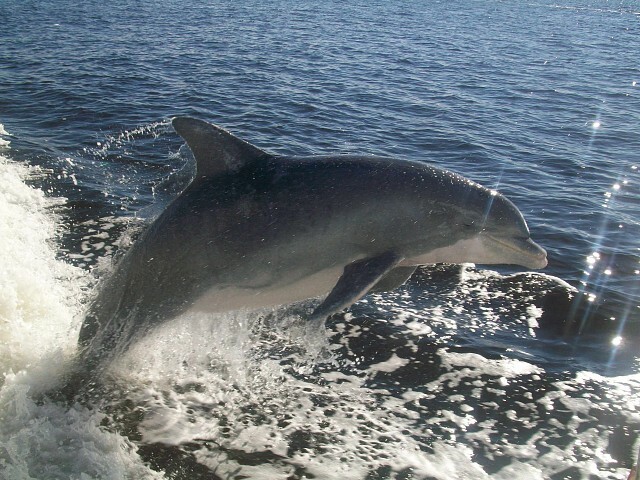 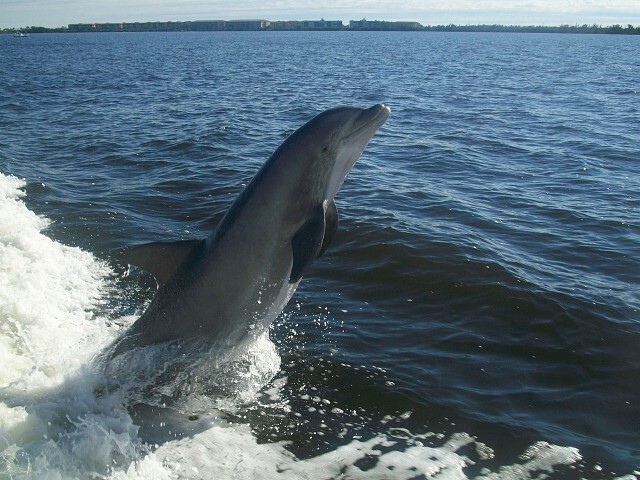 We’re often asked whether our boats scare away the dolphins. 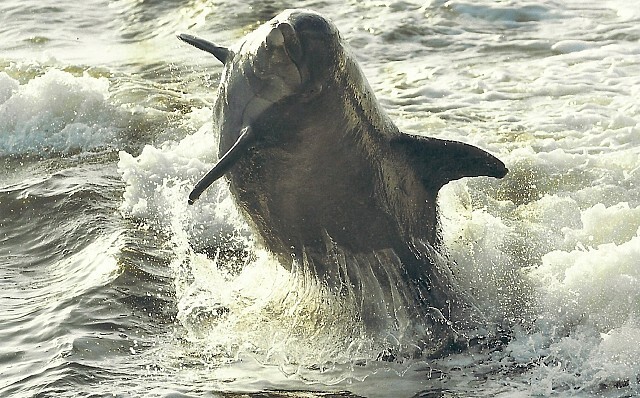 Actually, the opposite is true. 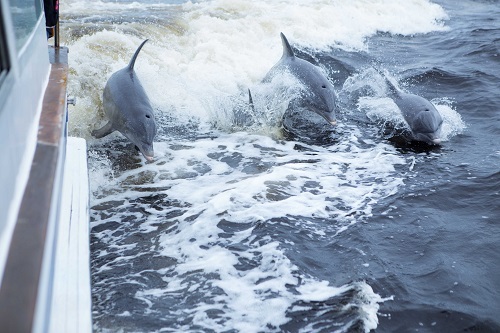 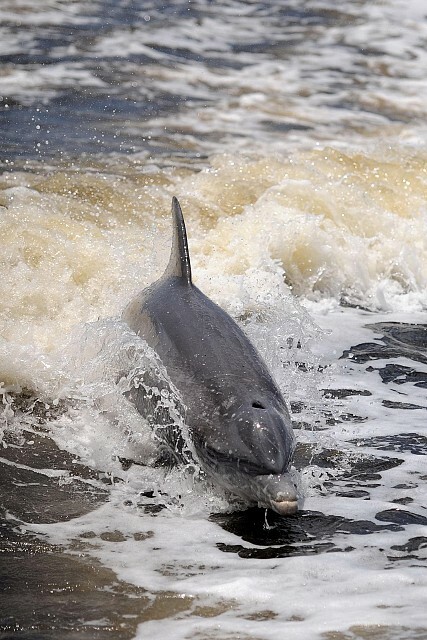 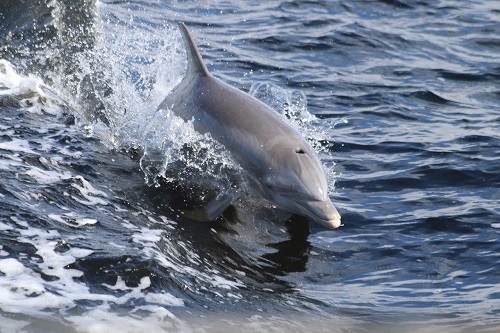 Dolphins are attracted to the wake created by the boats and often come to play alongside and body surf, so make sure you have your camera ready! 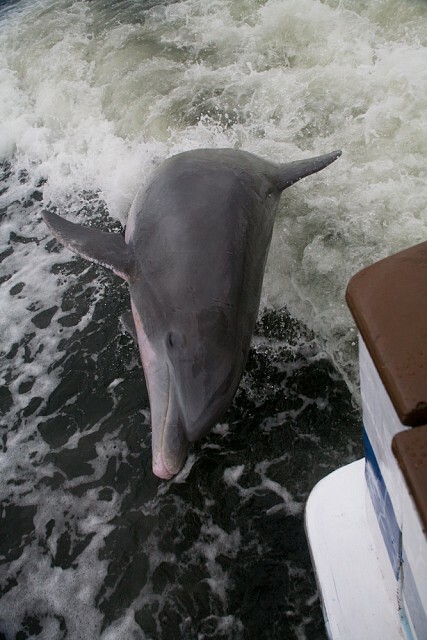 Locate prey through the use of a “sonar” echo-location system so precise that, in aquariums, blindfolded dolphins can retrieve a penny thrown into the water.